Bald Mountain Recreation Area, North Unit, has long been a local favorite trail featuring smooth, flowing, open routes and beautiful views. 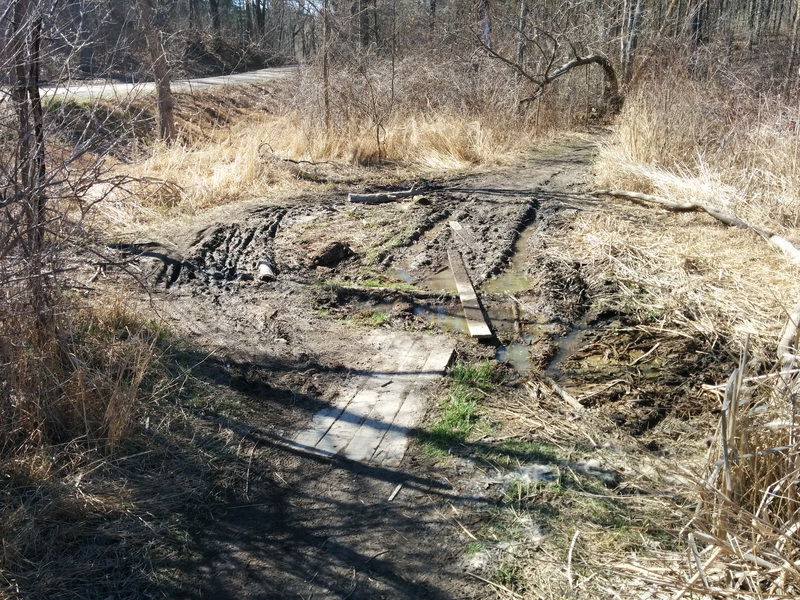 Unfortunately, it also has some low-laying muddy areas. On Saturday, May 9th, 2015, a CRAMBA-IMBA-led group of volunteers worked with the Michigan DNR to repair one of the worst and most visible problem spots. Just south of the main parking area at Harmon and Predmore roads (map) the old, collapsed drainage and unofficial patches were removed and replaced with a french drain system, raising the trail surface above the water table. The image to the right shows how it looked before the work was done. 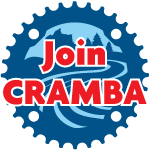 With 18 volunteers representing CRAMBA-IMBA, Metro Detroit Mountain Bikers, and the Friends of Bald Mountain Recreation Area, 90 volunteer-hours were worked, totaling $2066.40 in volunteer time† donated. This was CRAMBA-IMBA’s first trail day working with the DNR at Bald Mountain and what we hope to be the start of a growing relationship that’ll enhance the mountain biking opportunities throughout the park. Thank you to all the volunteers who came out to help with the work: Matt and Karen Koneda, Mike Hartrick, Drew Williams, Kristen Barry, Scott Mackela, Rodney Gullett, Deanna Velasco, Lisa Apone, Mark Senyk, Pete Kresmery, Carl Moody, Steve Vigneau, Mike Webb, Konrad Kucharski, Chris Westerlund, Max Larroquette, and David Jackson. Adam Lepp and Paul Majchrowski, Michigan DNR at Bald Mountain Recreation Area, who arranged for the materials and with whom CRAMBA-IMBA has been working closely. Lisa Apone and Mike Webb for bringing both a vibrating compactor to pack the trail surface and pizza and water for hungry workers. Rodney Gullett and Deanna Velasco for getting mid-day food that kept our volunteers going. Pete Kresmery and Mark Senyk for bringing small tractors and trailers used to move the repair materials. 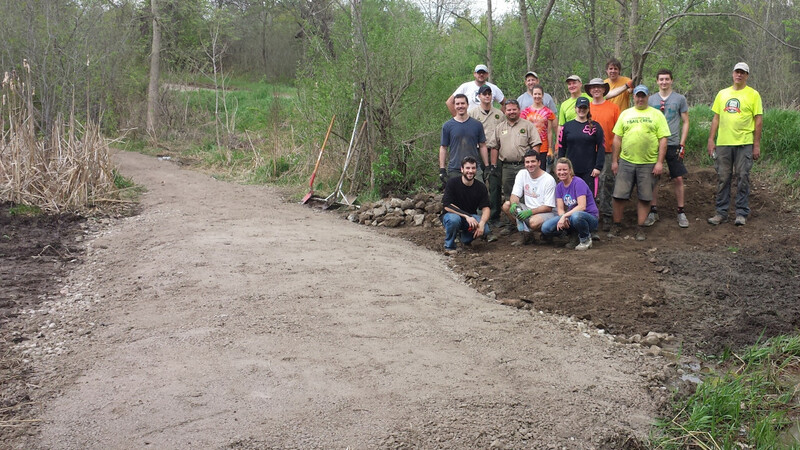 More photos from before, during and after the trail day can be found here. Thank you to Jeremy Verbeke, Lisa Apone, Kristen Barry, and Max Larroquette for getting pictures of the work in progress. This entry was posted in Chapter News, Trail Day. Bookmark the permalink.